A porcelain veneer is a very thin shell that is bonded to the front of a tooth to enhance its appearance. Veneers are ideal for cosmetic improvements: to straighten slightly crooked teeth, close gaps or fix overlaps or cracks. Patients whose teeth have resisted whitening can finally enjoy gleaming white teeth with our stain-resistant porcelain veneers. Porcelain veneers are very durable and can last many years with proper care. Dr. Field has many years of experience in designing and placing high-quality porcelain veneers. 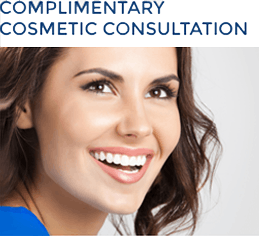 He possesses strong skills in dental aesthetics and attends regular continuing education classes in cosmetic dentistry to keep up-to-date with the latest innovations. Dr. Field partners with an exceptional lab where each veneer is individually handcrafted according to his specifications. 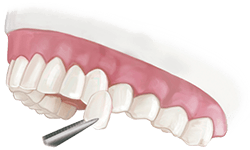 To place veneers, the front of the teeth usually have to be trimmed down to some degree so that they won’t look unnaturally thick with the addition of the veneers. But with minimal prep veneers, teeth require only the slightest amount of trimming, and no-prep veneers do not require any tooth trimming at all. Each ultra-thin veneer is separately handcrafted at our excellent local lab by an experienced dental technician, and will look completely natural. 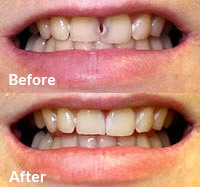 With proper care, your veneers can be expected to keep their beautiful luster and last a very long time. Our minimal prep and no-prep veneers can be a good option in many cases, especially if your teeth have only minor imperfections you want to correct. 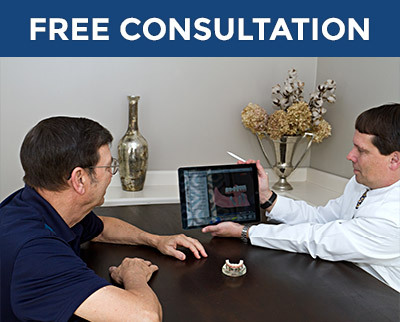 Dr. Field will always present you with the most conservative, least invasive approach to improving your smile. 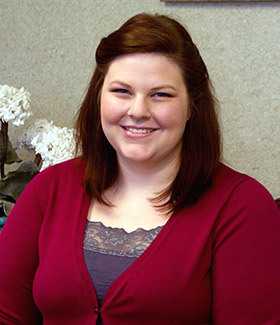 Dr. Field meets with you to discuss your smile goals. You will find him easy to talk with and a good listener. 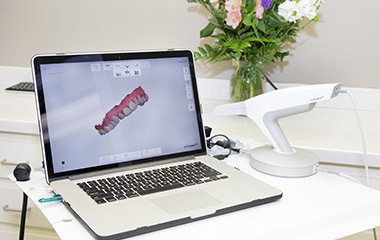 Dr. Field will use our radiation-free digital impression scanner to obtain an accurate 3D impression of your teeth. Dr. Field will use our radiation-free, high-tech digital impression scanner to obtain a clear, accurate 3D digital impression of your teeth. Using special software, he will then make a digital study model of your smile. For more extensive cases, he will also have our dental lab create a three-dimensional physical model of your mouth with their 3D printer. As the next step, Dr. Field will create a digital model showing what your veneers will look like when they are placed on your teeth. Additionally, he may create a physical wax model of your final veneers, so you can get a better idea of how they would look in real life. Once you and Dr. Field have discussed any adjustments needing to be made to achieve the desired look, Dr. Field will send the models, along with his detailed instructions, to the lab so your new teeth can be fabricated. In order to place your veneers, Dr. Field will need to prepare your teeth by trimming them down slightly. For extra accuracy, he will use the physical model of your teeth as a guide to ensure that just the right amount of tooth is reduced and no more. Trimming the tooth provides room for the dental cement and veneer while maintaining the normal size of your tooth. Of course, this step is not necessary with no-prep veneers. After your teeth have been prepared, Dr. Field will take final digital impressions of your teeth to send to the lab. He will then fabricate your temporary veneers right in our office. He will place these for you to wear while your finals are being crafted, a process that takes from two to four weeks. Dr. Field offers high-quality layered or pressed porcelain veneers, depending on which are most suitable in your case. Layered veneers are formed by carefully applying layers of various shades of porcelain to achieve the desired coloration and luminosity. Pressed veneers are formed under high heat and extreme pressure, making this type of porcelain veneer very dense and strong as well as aesthetic. Either type of veneer will be beautiful, natural-looking and durable. When your final veneers are ready, we will have you come in so Dr. Field can place them and make sure everything is just right. During your visit, a local lab technician will be present to take notes on any final adjustments that might be needed to the color and shading to ensure you are 100 percent satisfied. Dr. Field will custom-contour your veneers as needed to ensure that they look perfectly natural and optimally complement your features. 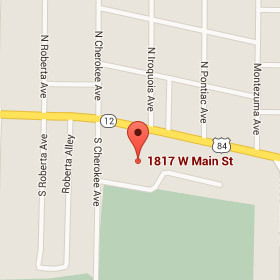 You will leave our office with a beautiful smile that you will be happy to show. Before and after dental bonding. Dental bonding is a tooth-colored resin that is often used for minor cosmetic fixes, such as closing gaps between teeth or repairing a chipped tooth. Dr. Field prefers to use the least invasive option for correcting small flaws, and dental bonding is a minimally invasive method for fixing minor issues while preserving existing healthy tooth structure as much as possible. Dental bonding can be a good solution when a fast, inexpensive, short-term solution is desired. While bonding has its advantages in the short term, porcelain veneers offer more aesthetic and durable option for restoring your smile. Bonding only lasts a few years and is not stain-resistant, whereas veneers can last much longer and with proper care will retain their bright and beautiful appearance.